Late last year, several Ohio communities adopted local legislation banning a controversial drilling practice in their communities, adding to an already heated debate over the role of local governments in environmental protection. Ohio’s Broadview Heights and Mansfield joined a handful of other American municipalities in Maryland, Washington, Pennsylvania and other states that have recently adopted their own “Community Bill of Rights”, a charter amendment guaranteeing certain powers or protections to residents. Hydraulic fracturing, referred to as “fracking”, is a drilling technique in which a mixture of water, sand, and a small amount of chemical additives are pumped deep underground to fracture shale rock and release trapped natural gas. Citizen groups like CELDF and MADION advocated for the new law that requires any future fracking sites within the town’s jurisdiction to be approved by its residents. If a corporation chooses to ignore the statute, then local government agencies would not recognize the company’s incorporated commercial status, or any license or permit applications submitted on its behalf. These developments are part of a recent trend of municipalities in the United States trying to regulate fracking in response to growing concerns about its negative impacts on local environments and public health. Community bills of rights have been used successfully to address local planning issues such as industrial zoning or preservation of public spaces. However, not everybody agrees with using this strategy to block natural gas extraction. Opponents claim that the new regulations are unfair, create unnecessary obstacles to economic growth in the state’s drilling industry, and most importantly that these communities do not actually have the authority to regulate gas and oil drilling. Whether or not a municipality has the authority to ban or regulate fracking varies among states, and depends on the authority granted to municipalities and the state’s own regulatory framework. Similar “community bill of rights” legislation in Pennsylvania was reversed in 2009 when the state’s Supreme Court determined that municipalities are precluded from regulating aspects of the industry that are comprehensively regulated by state policies. In the case of Ohio, existing state policies may not necessarily preempt local regulation. 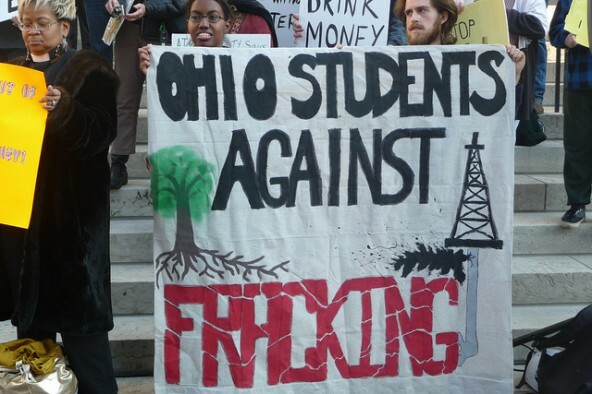 Supporters of the community bill of rights argue that the local government has the responsibility to protect the welfare of its citizens, and that fracking is not comprehensively regulated by the state since there remains such a high degree of ambiguity in Ohio’s policies. The issue has not been taken to court just yet, but citizens of Broadview Heights and Mansfield may soon see legal challenges to their new laws.